Ever cut into an avocado and discover it isn’t quite as ripe as you’d like it to be, and then worry about it going brown while you wait for it to ripen? We discovered a low tech way to do this, even if you don’t have a lemon in the larder. Get yourself a nice wide elastic, wrap it around the avocado with the pit still in, pop the whole into the fridge and wait it out. 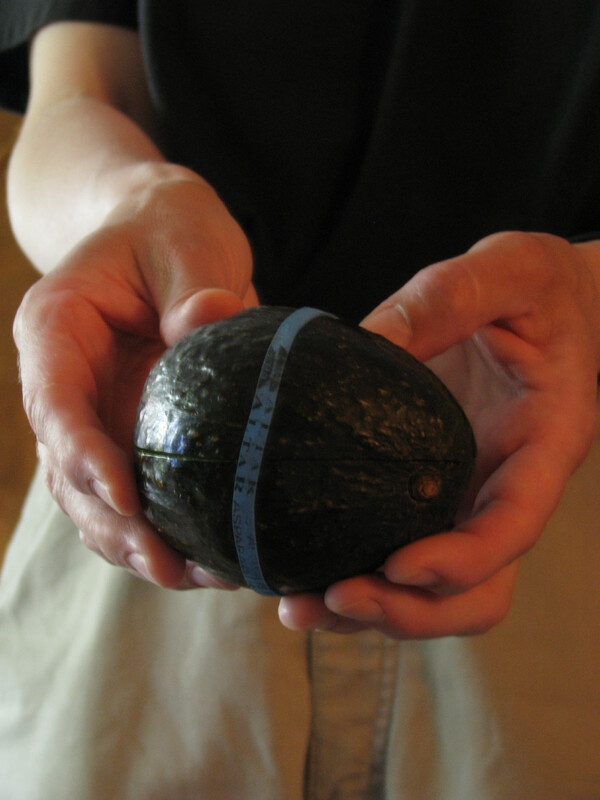 Below is an avocado we opened and then popped into the fridge for a few days – it was perfectly ripened and green without the unsightly brown oxidation that usually takes place.